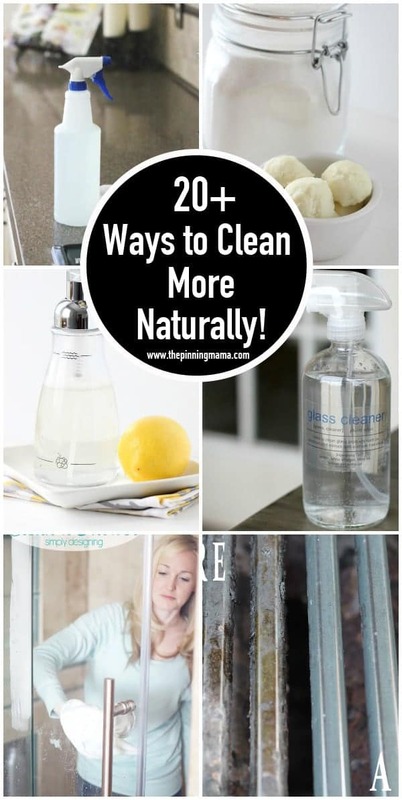 You are here: Home / Cleaning / 20+ Ways to Clean More Naturally This Spring! 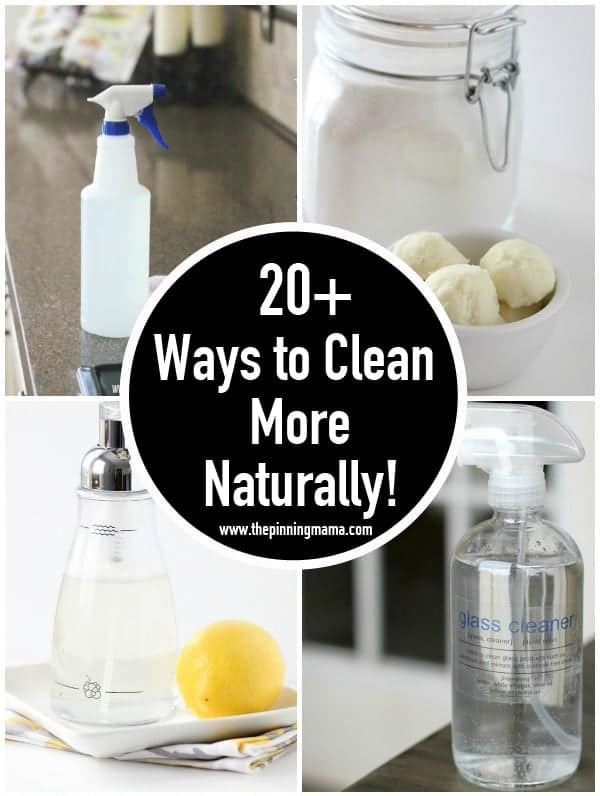 20+ Ways to Clean More Naturally This Spring! More than 20 ways to get rid of chemicals and clean your home more naturally! In my pursuit to keep things more on the natural side and stop using so many harsh chemicals in my home I have tried a lot of things and really found some that I love. I also have several friends that are working on the same. I put together some of their favorite ideas along with some of mine to give you more than 20 ways to get things clean more naturally! With spring cleaning right around the corner there is no better time to give your cleaning closet a makeover and fill it with things that are safer for the family! Take a look at this list, then let me know if there are any ways that you use to clean naturally in your home that I have to try in the comments! If you love to get handy tips and tricks for your home, make sure to like The Pinning Mama on Facebook and Pinterest where we share all of our newest finds first! Can’t wait to look at all the natural ways to get my spring cleaning on (although in MI “spring” cleaning is usually “almost summer” cleaning). I’d love to see you link up with the new party I am cohosting! Come check it out!